IP Video Entry technology for multitenant apartment buildings has never been more advanced or more affordable than the system offered by BEC Integrated Solutions. We offer a IP Based Video Entry system that is second to none in the multifamily apartment building entry system industry today. 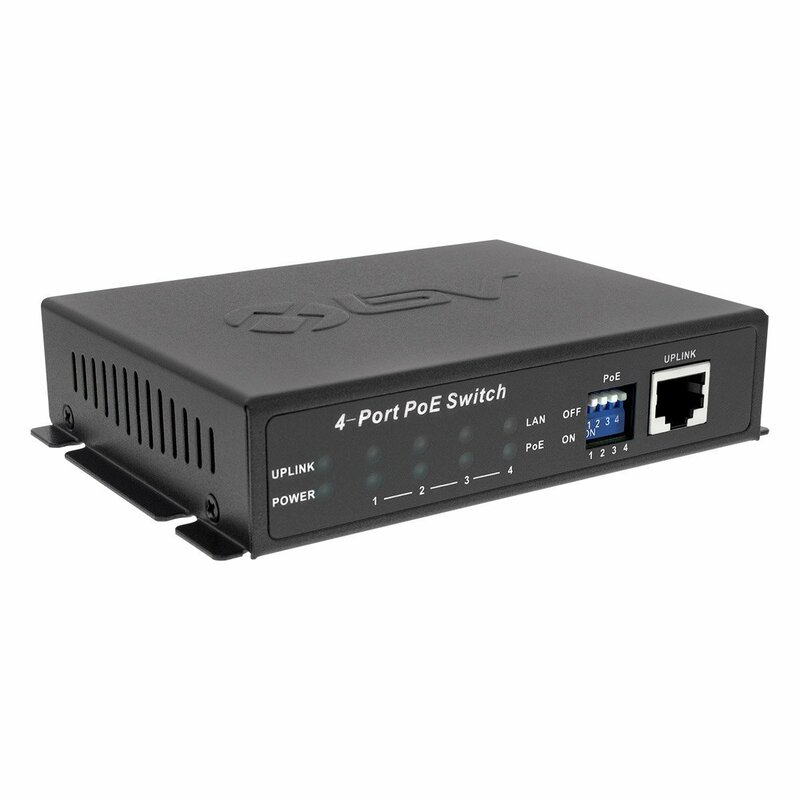 This IP Network multi-tenant video entry system communicates with paired indoor touchscreen monitors to provide enhanced security and communication solutions for your apartment complex or office buildings. Our Multitenant IP Based Video Intercom system has been used in apartments and office buildings all over the country and around the world. The system is equipped with image memory technology, allowing images to be time stamped with calendar, time and date to review who is going and coming from each property or facility. 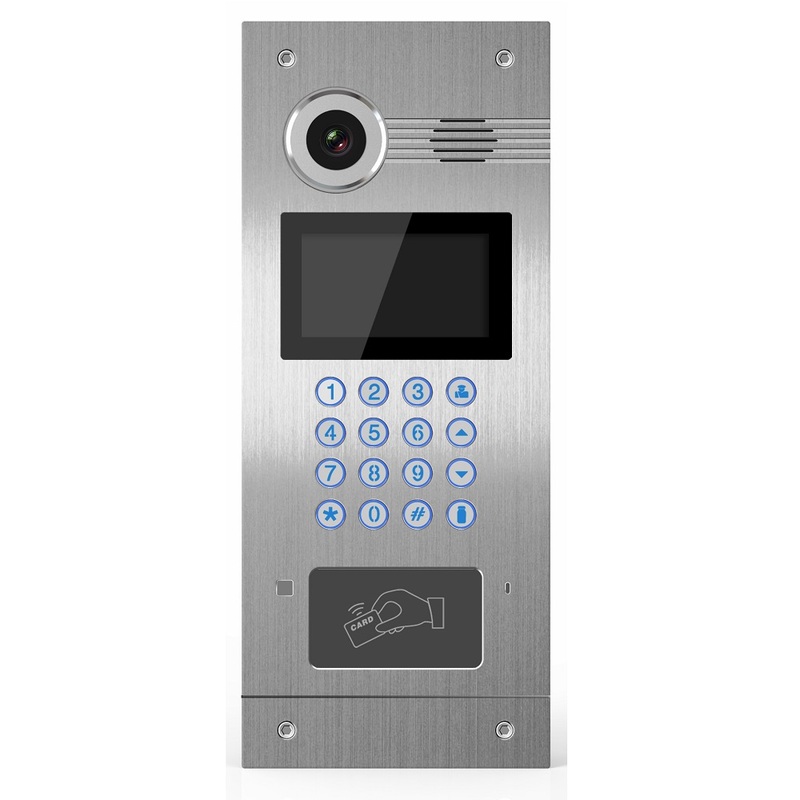 The IP Video Intercom System for multitenant apartment buildings provides the ultimate in security solutions all at an affordable price. 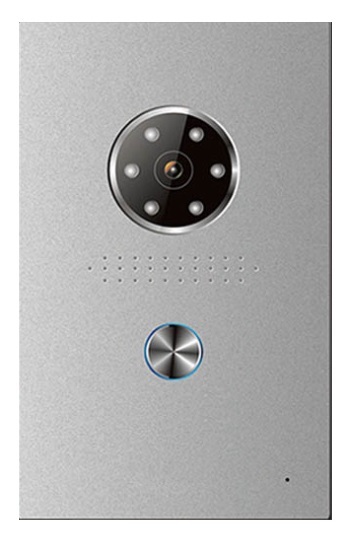 The IP Network Based Video Intercom system is equipped with high resolution CCD camera technology, providing clear apartment building entry monitoring at all times. Infrared technology is equipped on each camera to provide high resolution monitoring day or night. 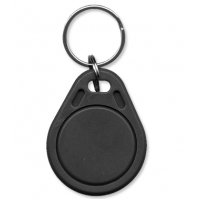 The system can even pair with mobile phones so that tenants will never miss a call as communication and imaging can be accessed using their mobile phones. Check in on each apartment building on or off site using the IP Video Intercom System's IP Network technology. 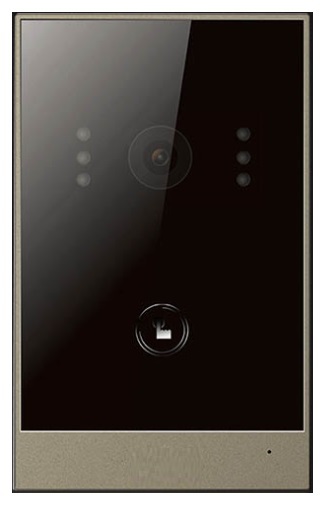 Each point of entry comes with controlled locking and unlocking mechanisms which can be managed remotely or by password unlock. Program the entire IP Video Intercom System remotely using a laptop or desktop computer, allowing the IP Video Intercom building entry system to seamlessly continue offering building entry security while new tenants are coming a going from the facility almost constantly. 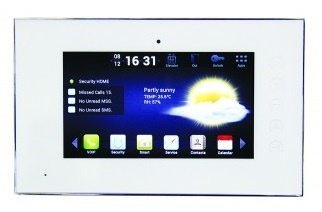 The IP Network technology of this Video Entry System allows programming to be done offsite as needed. 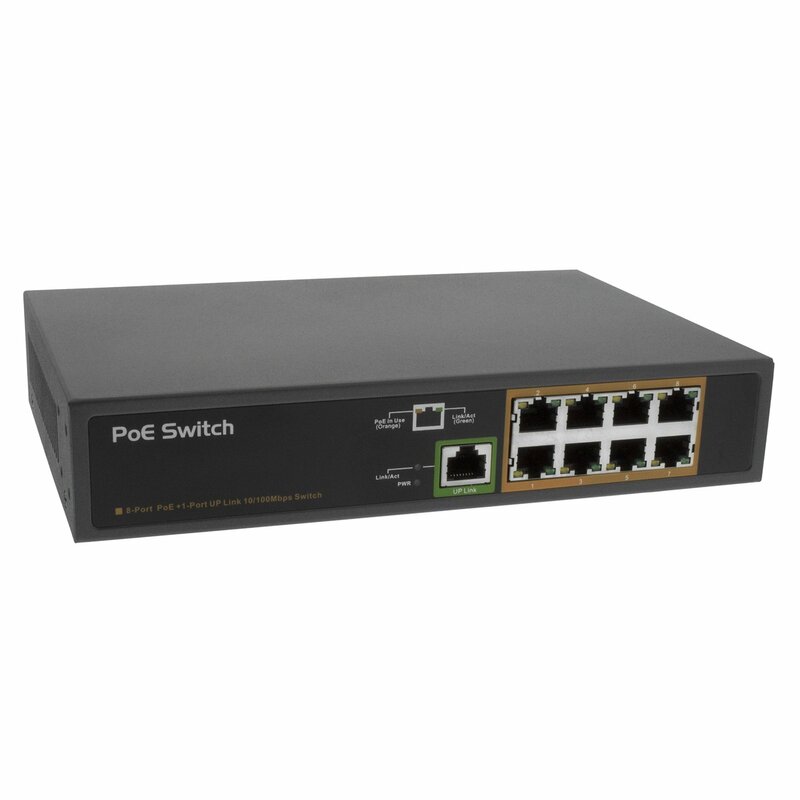 The Multi Tenant IP Based Video Entry system features wired CAT5 cabling, offering PoE (power over Ethernet), therefore eliminating the need for an additional power source. Door stations including a card reader do however require an extra power cable. The system only requires DC 12V of power and comes in white or black paneling to best match your existing decor. The IP Network Video Intercom System offers customization and can expand to as many as 295 monitors within each separate building to give the best coverage for large apartment complexes or office buildings. 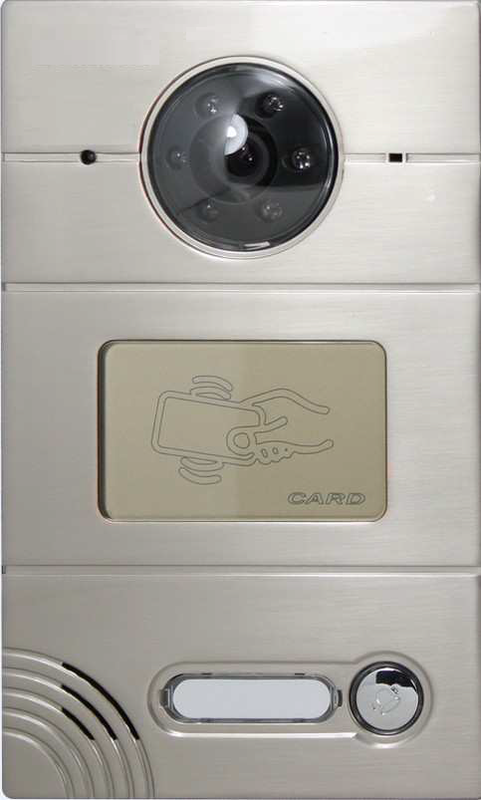 Each IP Video Intercom camera door panel is weather-resistant, providing protection for daily outdoor use. We also offer single camera stations for separate condos, villas, gated community homes and other facility options. 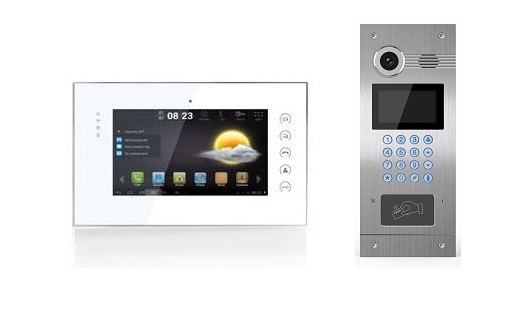 The IP Video Intercom System is the most advanced multitenant apartment building entry system on the market today. It combines the dependable security monitoring in a video entry system with the reliable communication technology that will benefit every investment property. Contact us today for a customized system quote! Calls are transferred to your mobile phone while you are away -- never miss a call! To receive a free system cost estimation, please complete the following form. Please contact us for lead times as the system is not yet in stock.